Someday, Donna Mitchell might make a film about her life: the homeschooled Des Moines student who went on to publish novels and produce independent films. It will be a long road, but Donna is up for it. She has already cleared the first hurdle: earning her high school equivalency diploma (HSED) through the Bridges to Success program. Bridges to Success is a recently launched collaboration between United Way of Central Iowa and Des Moines Area Community College (DMACC) to help 10,000 central Iowans earn their high school equivalency by 2020. Bridges to Success is a recently launched collaboration between United Way of Central Iowa and Des Moines Area Community College (DMACC) to help 10,000 central Iowans earn their high school equivalency by 2020. Research shows that those with a high school diploma or equivalency earn $700,000 more during their career and are more likely to stay out of jail and lead healthy lives. 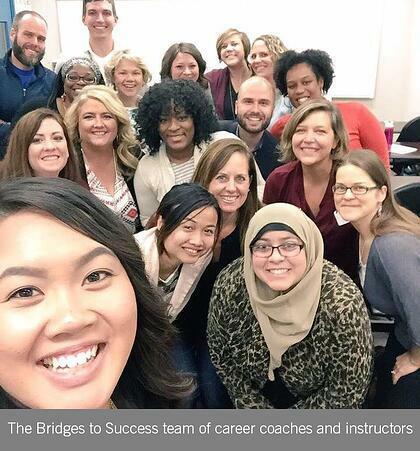 Bridges to Success provides free classes, books, and testing and connects each student with their own career coach to guide them through the process and advise them on career options. As for many enrolled in the Bridges program, life circumstances prevent Donna from earning her diploma. She always intended to take the HiSET exam (formerly known as the GED), which you must pass to earn your high school equivalency. But life kept getting in the way: expenses, a lack of transportation, even fear of what to expect on the test. Finally, the 21-year-old decided she couldn’t put her dreams on hold any longer. She signed up for the Bridges program in July. During the program, Donna bonded with her instructors, especially her math teacher, Miss G. In a subject where it’s easy to get overwhelmed, Miss G gave students confidence in their own abilities. After years of worry about earning her HSED, Donna felt major relief to be around these inspiring, comforting, empowering people. In a couple months, she had passed all five subjects of the HiSET. planning for the past few years, and it’s finally here. She’s already completed the next step of that plan: getting a full-time job. 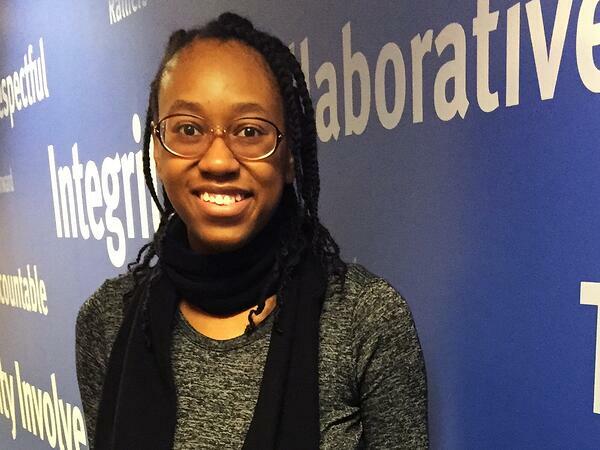 After earning her HSED, she was hired by the Wells Fargo Call Center, where she makes several more dollars per hour than she made in her previous position. Now, Donna’s eyes are set on college: first to DMACC to earn credits and then on to film school. Another Bridges career coach—Tyra Nelson, who used to be a film advisor at the University of Iowa—is counseling Donna on how to reach her goal of becoming a film director. Donna is grateful to the Bridges program for starting her on that path, and she encourages others to put fear behind them and cross the bridge to their future.